First Event of 2019 – New Parent Cafe! 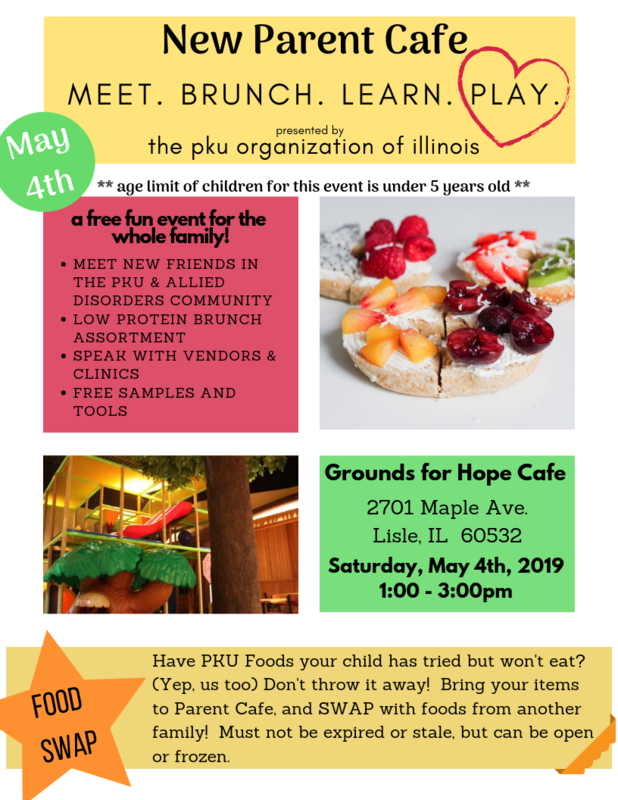 Are you a parent with a young child that has PKU? Join us for our first networking event of the year at Grounds of Hope Cafe in Lisle. Meet with other parents with young children to share tips and tricks. Speak with vendors and local clinic representatives. Have some food that your PKUer won’t eat? Bring it along and swap with other families to try something new instead. A low protein brunch will be provided. Register now or click the link below for more information on our Event page.